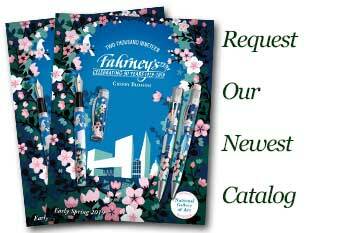 Order your David Oscarson Limited Edition Alexander Fleming Fountain pen today from FahrneysPens.com. Fine Pens, Refills & Luxurious Gifts – great prices & fast shipping. The David Oscarson Alexander Fleming collection honours Sir Alexander Fleming (1881 – 1955): a Scottish bacteriologist best known for his discovery of penicillin. In 1928, Alexander Fleming’s lab assistant left a window open overnight allowing mold spores to cover bacterial specimens in his petri dish. His irritation by the contamination and initial decision to discard the specimens were interrupted when he noticed that many of the bacteria surrounding the blue green-mold were dead or dying; the mold had prevented the bacteria from making new cell walls and reproducing. Through further research, refinement and purification, the mold that he first identified as penicillium became in what today is commonly known as Penicillin. Fleming had a genius for technical ingenuity and original observation. His work on wound infection and lysozyme, an antibacterial enzyme found in tears and saliva, guaranteed him a place in the history of bacteriology. But it was his discovery of penicillin in 1928, which started the antibiotic revolution that sealed his lasting reputation. Fleming was knighted in 1944, and further recognized for his achievements in 1945, when he received the Nobel Prize for Physiology or Medicine, along with Australian pathologist Howard Walter Florey and German-born British biochemist Ernst Boris Chain, both of whom isolated and purified penicillin. The Alexander Fleming Limited Edition Collection stands as a tribute to his contributions to the world of medicine and to all mankind. A rendition of his signature stands in high relief around the pen barrel, representing countless prescriptions that have been written - not only by Fleming, but by millions of doctors all over the world. The cap features a reconstruction of Alexander Fleming’s original petri dish on which his original discovery was made. The background of the pen is engraved in a vertical motif, interrupted by delicate stems, branches and spores, representing penicillium as it appears under a microscope slide, or ‘under the glass’. The clip emulates an inoculating loop, which is used to apply bacteria to a petri dish during experimentation, and the gripping section is engraved with the chemical formula for penicillin. As with all David Oscarson Collection pieces, the Alexander Fleming Collection is created by combining the expertise of Guilloché engraving with the artistic mastery of Hard Enamel. 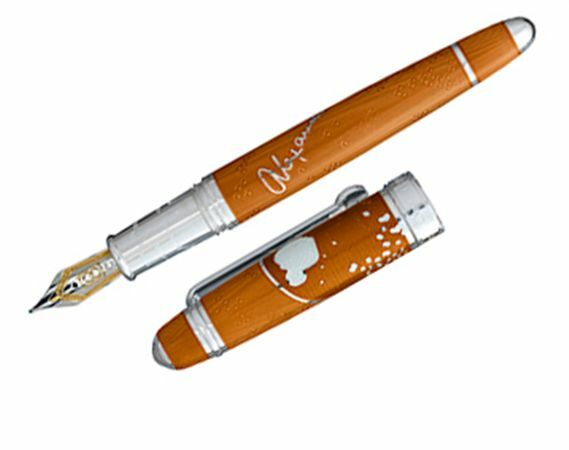 The Alexander Fleming Collection is the twenty-third in the David Oscarson series of Limited Edition writing instruments and will be produced in four primary color variations, each limited to production of 73 pieces (including fountain pens and rollerballs).